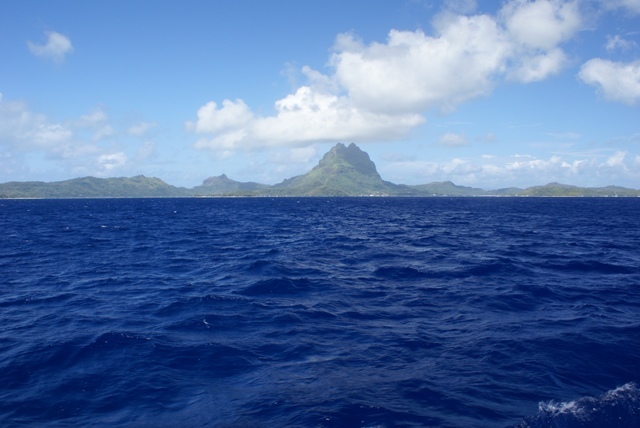 Approaching Bora-Bora from the south east. Going through the pass in the reef into the lagoon. 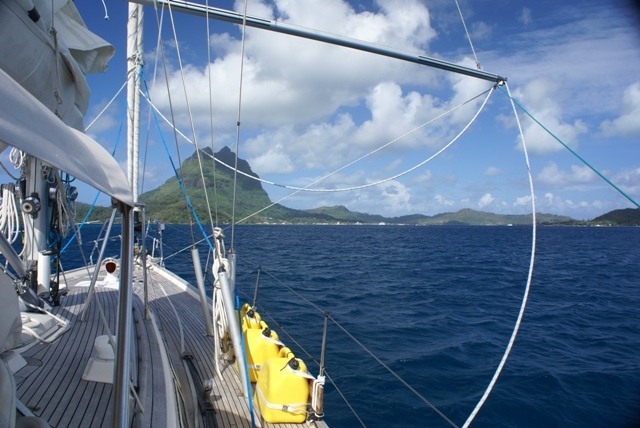 Pole still up - rolled the sail away and put the pole down once anchored. Cans on deck - you need cans as in most places fuel has to be transported from filling stations in the dinghy. We think they have a fuel dock here so hope to go alongside to top up our tank before the next passage. 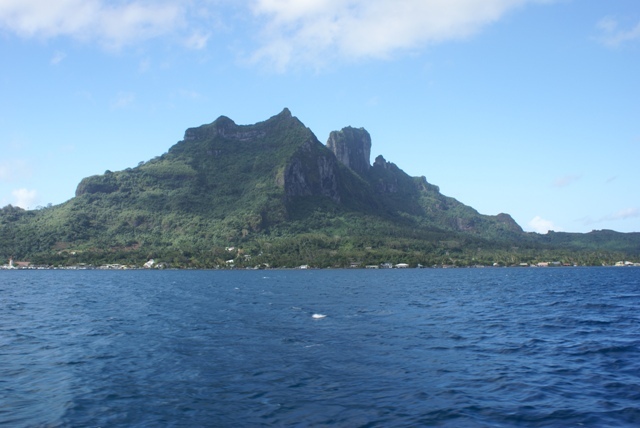 The summit of Bora-Bora - the view from where we are anchored.